The Vulcanic group has been designing and manufacturing electrical heating and cooling solutions since 1973. Employing 750 people across 11 manufacturing locations, Vulcanic currently services 30 000 customers in 100 different countries across the globe and is an ISO 9001 v 2008 accredited company.  Vulcanic offers a wide range of solutions for electrical industrial heating and cooling (of liquids, gaz and solids) including temperature measurement, control and power supply.